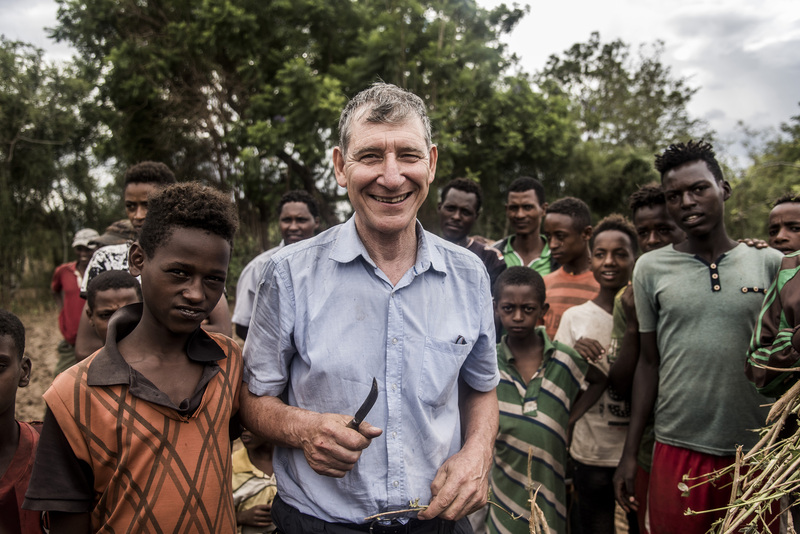 We are beyond thrilled to share the news that Tony (along with three others) was announced as a recipient of the prestigious Right Livelihood Award for 2018. This is an international award to “honour and support those offering practical and exemplary answers to the most urgent challenges facing us today.” The prize was established in 1980 by German- Swedish philanthropist Jakob von Uexkull, and is presented annually. The press release is here and the webpage on Tony is here. ‘I am very happy. Receiving this award is a very great honour and I am humbled. One does not do this kind of work for recognition. The smiles on people’s faces, the changed lives and landscapes are reward enough. But when recognition of this order comes after many years of struggle and dedication, it is sweet! I must say that I could never have won this alone. The calling, the inspiration, protection and vision for FMNR came from the Lord. The award is a testimony to the hard work and dedication of millions of individuals, most of whom are amongst the poorest people in the world, hundreds of colleagues who made my work easier and who often, made it go further than I could have alone and to the uncounted major and smaller donors who have given to this work over the last 35 years. To all those who had faith in me and in the power of FMNR to transform lives and landscapes, and supported it, and to those who made it happen in the field, often in the face of opposition and great difficulty, I can only express my deepest gratitude. Also, the work would not have moved forward without the support of the two organizations I have served in – Serving in Mission and World Vision Australia. These organisations have accommodated my eccentricities and provided a framework for the spread of FMNR, without which it would have been very difficult to organise. Without the long suffering, selfless and constant support and encouragement of Liz there would be no story, and the less visible story is that of many hundreds of people who have faithfully prayed for us and the ministry over many years. For me, this award gives greater visibility and credibility to FMNR globally. Even though this simple, low cost and rapid method of reforestation has had a very significant impact on the lives of millions of people, globally it is little known to national governments, donors, implementors or front-line communities who need it the most. It is my hope that the spotlight now being shone on FMNR will accelerate a global regreening movement.